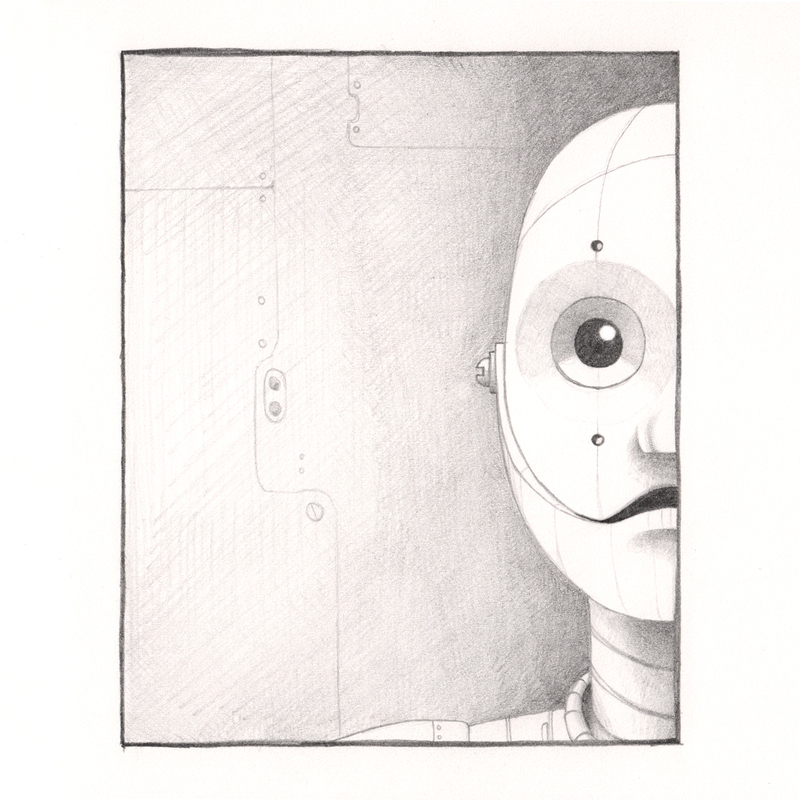 A pencil sketch of ‘Andrew Martin’, the robot hero of Isaac Asimov’s story “The Bicentennial Man”. This was based on a small thumbnail I drew yesterday that I thought had an element of humanity about it. Drawn with Faber Castell HB and 2B pencils on layout paper.